Most enthusiasts who count their coasters put an utterly disproportionate amount of effort into planning where their milestone coasters will be. These arrangements don't always go completely to plan, often because of an unexpected closure, though occasionally due to an unanticipated bonus credit or a counting error. Though I have been known to make arrangements myself my only agenda this weekend was reaching the magic seventeen hundred; I wasn't particularly bothered about where it would be. Oachkatzl (#1700) loosely translates as the rabbit coaster, which is oddly appropriate for a hobby that is completely nuts. It's actually quite a good ride, being a rapid journey through a forest which is very reminiscent of the Tree Tops Coaster. One word of warning; in the off season, this ride doesn't run regularly; enthusiasts planning a hit and run may need to allow an hour or two. Furthermore, the park staff don't have any English whatsoever, so a little bit of German may prove useful in any negotiations! The last stop of the weekend was at Freizeitpark Ruhpolding, a particularly nice park in the south-eastern corner of Germany, a few miles from the Austrian border. The park is located half way up a mountain, and the layout reflects the fact that the terrain is particularly steep; flat rides are generally mounted on raised structures, and rides with a height differential are built directly onto the mountain itself. 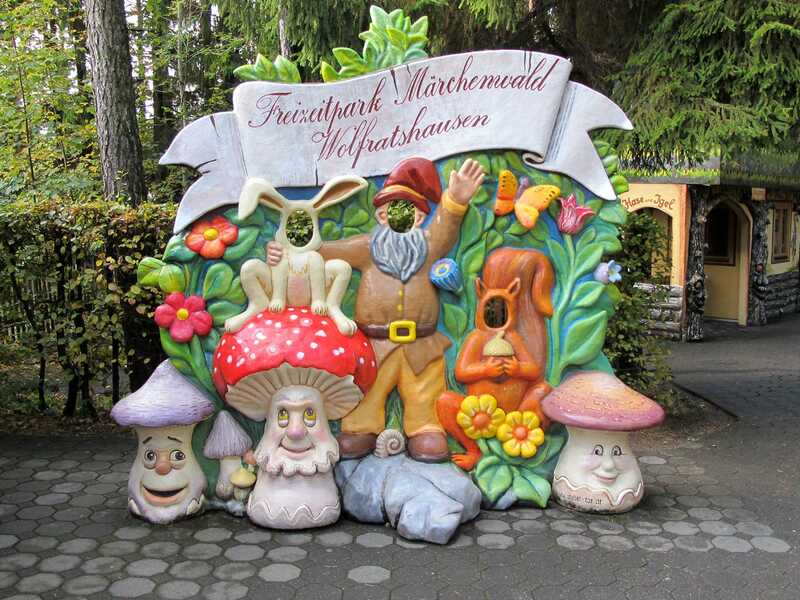 Nowhere is this more obvious than on Gipfelsturmer (#1701), a shuttle coaster built by Gerstlauer that has a similar design to the junior boomerang from Vekoma. The ride experience is quite different however, and not just because the design is somewhat smaller. The apex of both lift hills is completely flat, and the train stops on both for around ten seconds, before a tyre drive sets the train back in motion. The highlight for me is a sharp turn at the base of the second lift hill, which is forceful enough to throw passengers sideways; the rest is relatively gentle. Without riding both back-to-back it is difficult for me to say which I prefer, but there's no doubt that Gerstlauer have built a top notch family coaster, and one that is sufficiently enjoyable that this enthusiast would happily sit on it for an hour or two. The spectacular natural scenery does more for the ride than theming ever could.